Get Ready, Sacramento: Here Comes Selena Gomez! Tower Of Power Tonight At Town Center In Eldo Hills! New Years Party Locations ? Will You Attend A Hornets Game This Year? 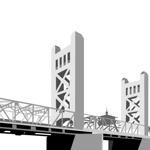 Good Places To Play Live Music In Downtown Sac?